Bring the water to boil and add chamomile tea bags – steep for 10 mins. Add the sugar to the chamomile tea. Stir until the sugar is dissolved completely (this syrup can be bottled and kept refrigerated for 1 month). 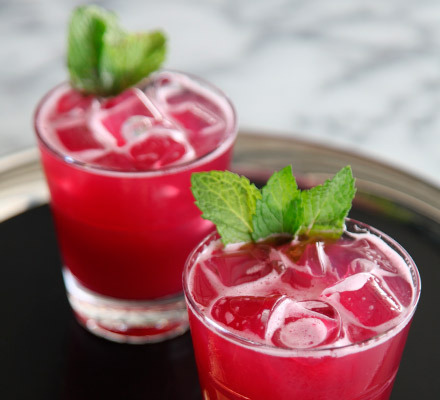 Mix together the fresh pomegranate juice, cranberry juice, chamomile syrup and fresh lemon juice. Shake well and strain into the glass. Top with ginger ale, and garnish with a few sprigs of rosemary and raspberries.